We are halfway through our holiday in Lanzarote and have already had a bellyful of the great food and drink that the island has to offer. 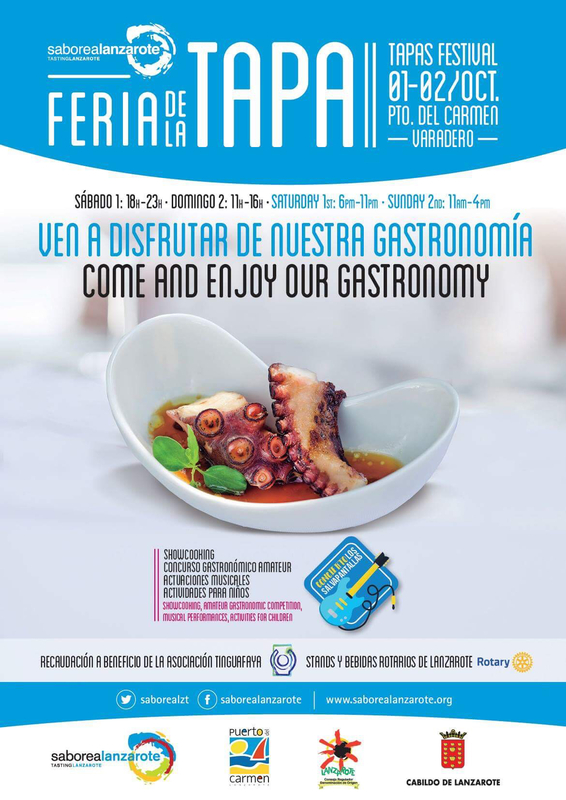 The highlight of our trip will be the Feria De La Tapa (organised by Saborea Lanzarote) which takes place this coming Saturday and Sunday. The tapas festival will see some of the islands best restaurants, local producers, bodegas and craft brewers set up stall in the Old Harbour in Puerto Del Carmen. Each of the food stalls will be offering tapas, pinxos or small servings of some of their favourite dishes whilst the bodegas will have an almost endless supply of the fantastic red, white and rosé wines available to taste, all for just €1 each. You simply buy a strip of €1 tickets and grab a taster at any of the stalls that catch your eye. In addition to all of the great food and drink on offer, there will be cooking demos from some of the islands top chefs, live music and activities for children too. The event is always well attended by both locals and holiday makers so if you haven't made plans for this weekend and you're lucky enough to be in Lanzarote, get along to the Veradero from 6pm on Saturday evening or 11am on Sunday morning and sample some of the best food and drink from the island. To find out more about how the event works, check out this review that I was asked to do for Lanzarote Information last year.